There is an increasing body of scientific knowledge confirming that you can take nutritional steps to slow down the aging process while building your bones, including consuming enough quality protein in your diet. Today, you’ll get the details and strategies to increase your protein intake while maintaining the pH-balanced dietary plan that Savers have come to know as the key to healthy and strong bones. We also bring you a delicious 100% alkalizing smoothie recipe to help you supplement your daily protein consumption. Proteins are chains of amino acids that are essential for many functions in the body and are a key component of healthy muscles, bones, and organs. Proteins are macronutrients, which means that your body needs them in relatively large amounts to function properly. The first thing that often comes to mind when considering protein intake is muscle building since amino acids are the building blocks of muscles. Protein also plays other critical roles in the body. For example, the immune system relies heavily on proteins.1 At the first sign of a viral or bacterial infection, the immune system releases Y-shaped proteins called antibodies to neutralize pathogens. Savers know that the Osteoporosis Reversal Program is centered around maintaining an alkaline pH. But did you know that protein plays a role in pH balance? Hemoglobin is a protein that helps to maintain the optimal pH balance. Adequate protein consumption ensures the proper functioning of these balancing systems. 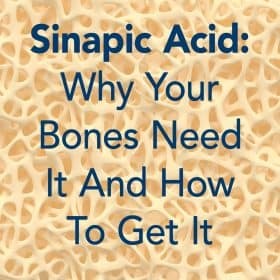 Bone health is not merely a skeletal issue; it is a muscular issue as well. Muscle weakness is a major predictor of falls and subsequent bone fractures. Savers are familiar with Wolff’s Law and why muscle strength is essential for bone health. Muscle contractions apply mechanical force on bone, stimulating bone turnover and increasing bone density and strength. In essence, strong muscles help to build stronger bones. 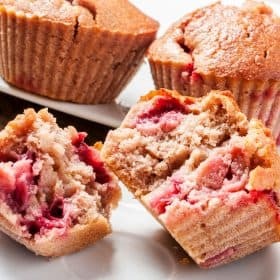 As we age, protein is broken down and used up at a faster rate.4 As a result, we require increased protein intake to keep up with the accelerated loss. Further, our ability to process protein also declines with age, raising our subsequent needs even more. The good news is that muscle loss is preventable by including quality protein on a daily basis and staying physically active. At the Save Institute, we do not believe it is necessary to count grams of protein. Rather, being cognizant of your protein intake and consuming wholesome foods rich in protein throughout the day is an effective approach. Studies have shown that when protein intake is spread throughout the day, as opposed to one protein-heavy meal, more of the protein is utilized for muscle synthesis and maintenance. 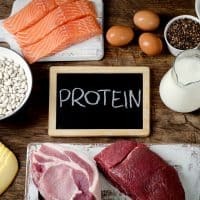 What Kind Of Protein Should I Consume? The thought of protein often conjures up the idea of meat. While animal protein is an acceptable choice as part of an 80/20 diet, it is acidifying and should be consumed in moderation, balanced with alkalizing foods. Eggs, a Foundation Food listed in the Osteoporosis Reversal Program are also acidifying, and are an excellent source of protein. The amino acid leucine is necessary for the proper synthesis of protein into muscle tissue. Leucine is found in higher amounts in animal and dairy products but can also be found in nuts, seeds, beans, and seafood. Another excellent source of alkalizing protein is whey protein. Milk is composed of two proteins – whey and casein. Whey, the alkalizing watery substance that is left after the milk is curdled, is a complete protein containing all nine essential amino acids. Whey has several health benefits, one of which is its ability to boost bone health since it contains lactoferrin and raises glutathione levels. Our Berries and Beets Smoothie includes whey protein and can be enjoyed at any time to supplement your daily protein intake. 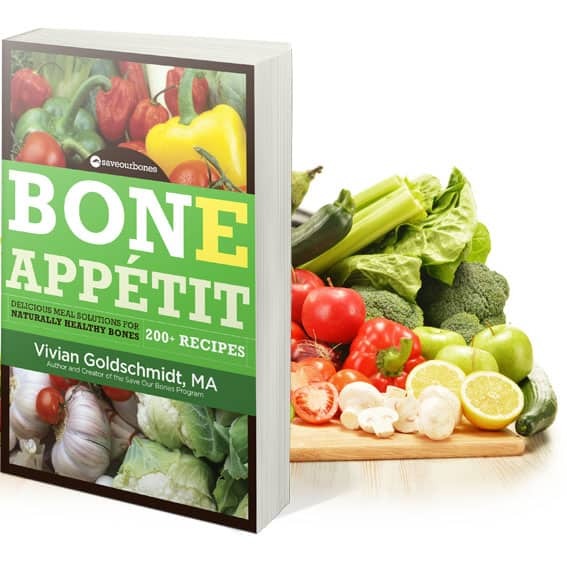 If you’re searching for additional ways to add more protein to your diet, look no further than Bone Appétit, the companion cookbook to the Osteoporosis Reversal Program. 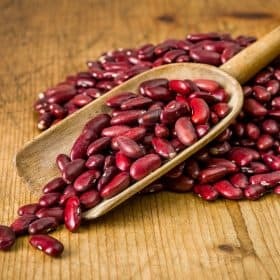 In addition to hundreds of recipes that build and nourish bones, there are plenty of bone-smart protein-rich food choices. When you order Bone Appétit, you will also receive Blender Magic, a compilation of delicious bone-renewing smoothie recipes. Whey protein is versatile and can easily be added to any of the smoothies, giving you a beneficial protein boost at any moment. 2 Heaney RP. Effects of protein on the calcium economy. In: Burckhardt P, Heaney RP, Dawson-Hughes B, eds. Nutritional aspects of osteoporosis 2006, Lausanne, Switzerland. Amsterdam, Netherlands: Elsevier Inc, 2007:191–7. Since I eat some form of eggs everyday for breakfast, which would you consider better-egg whites or whole eggs with the yolks cooked medium. Is 2 eggs 7 days per week bad for the heart cholesterol & fat ( that’s why I’m thinking changing to the liquid whites) your opinion please on each. Thanks very much! I drink the Kelloggs shakes that contain 15g. of protein. I have severe osteoporosis of the spine and steadily declining, even though I eat healthy and exercise daily. My dr. highly recommends prolia, but I’m scared of it causing joint pain. Something I don’t need in my life and who knows what else these drugs do. I keep up with your emails. I take 1500 mg. calcium with vit. d. Nothing is improving this bone loss and I’m worried. What is a MA? That concerns me. I’d appreciate a response. As far as Prolia (or any other osteoporosis drug) goes, remember that it’s your choice. No one can make you take any drug that you’re not comfortable taking! Perhaps the biggest concern eating proteins is increase in uric acid level in blood which may lead to arthritis , isn’t it ? thanks for your continual support and wisdom. You always inspire me. I have been searching for protein powder for my smoothies. I have rejected Whey Powder because I am lactose intolerant. does whey protein contain lactose? and if so, what protein powder do you recommend? As far as whey powder is concerned, many people who have dairy or lactose sensitivities are able to tolerate whey, but that’s not always the case. If you have any concerns about the lactose in whey, check with your doctor or allergist. The reason the Save Institute recommends whey is due to its ability to synthesize glutathione, so you can’t just substitute another protein powder. To achieve the same end, you could take 100 to 200 mg of Alpha-Lipoic Acid (ALA) instead of whey protein. Just to thank you for all information on our our bones. You are most welcome, Penny and Joan! How grateful I am for all of the information you graciously share. The protein intake should be low – less than 10% of the whole food or calories and preferably from plant sources. Animal protein in amounts above 10% leads to many serious diseases on the long run. This is excerllently proven by T Collin cambell in his book Tjhe China study held over several years in China taking into account data from litarrally hundreds of thousands of people. He can be watched on Youtube. Thanks for all the info that you provide daily. The list of protein recommended, doesn’t include — Turkey. Turkey doesn’t provide protein?